If you haven’t experienced it yet, join us at the 14th street y for the new work presented by Red Fern Theatre Company, HOME. This piece is split into 5 stories written by 5 different writers that all explore a variety of meanings of the word HOME. 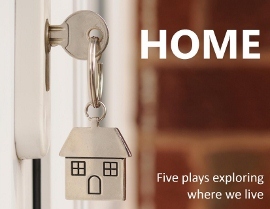 With the rise in foreclosures and homelessness in recent years, these plays explore the meaning of having and maybe losing a home, which may feel close to home for our audiences at the 14th street y. Red Fern Theatre Company “strives to provoke social awareness and change through theatrical productions and outreach,” therefore, each play produced by this company addresses some sort of social issue, big or small, and is paired with a parallel philanthropy. Along with giving the audiences information about the philanthropy in the playbill and discussing the organization before every show, part of the proceeds goes to this organization. For HOME, some of the proceeds went to the organization Habitat for Humanity – New York City. 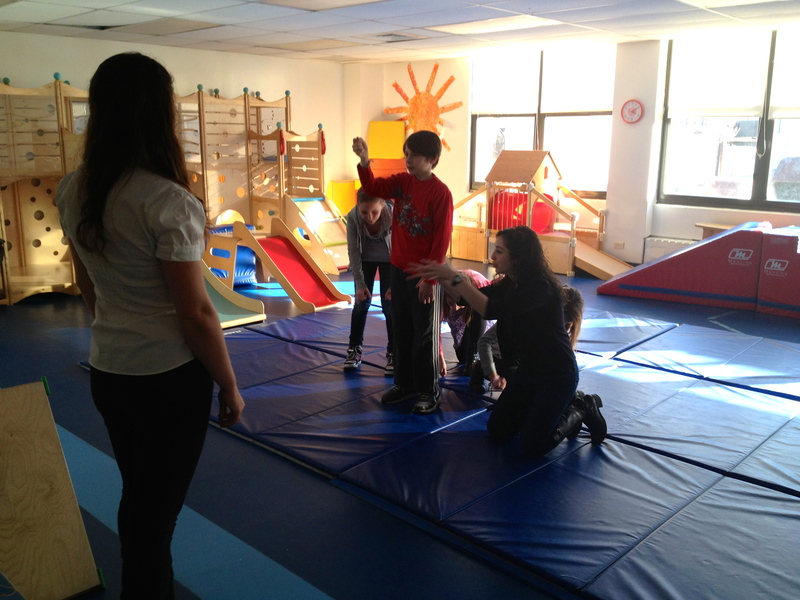 This charity prides themselves in building quality homes for New York City families in need. With the help of thousands of volunteers each year, Habitat-NYC has already built more than 260 affordable homes in the five boroughs. This production is an “exciting, insightful, poignant evening of new work” and we are proud to have it hear with us at the Theater at the 14th street Y. You won’t want to miss it! Are you composting with us yet? In March, we began our Community Composting Pilot to help busy urban dwellers like you keep food waste out of the landfill. It’s easy to do! Just collect your food waste at home (even meat and dairy is eligible for this program) and bring it to the Y. Once you’re here, you can weigh it and text the amount to track your diversion rate. Each text enters you into a raffle to win great things from our community. April’s raffle prize is a $50 gift certificate from Northern Spy , an amazing restauraunt that uses local, fresh and seasonal foods. Have you signed up to compost with us? Just email Camille_Diamond@14StreetY.org to get started. Keep food out of the landfill, send it back to the earth, and complete the food cycle! Last month, the Teen Theater Summer Institute here at the 14th Street Y had it’s first free workshop and camp promo in our three part series this fall, and we had a blast! 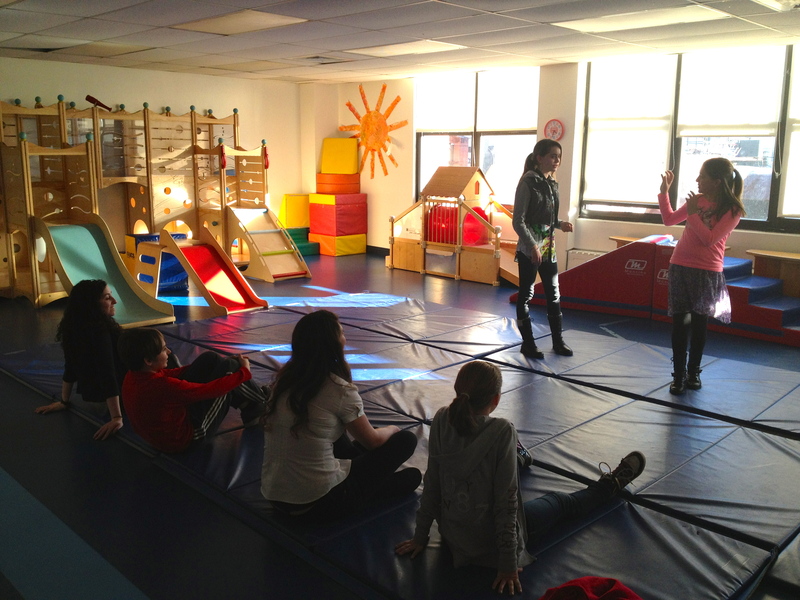 Ashley Thaxton, TTSI Assistant Teaching Artist tells us all about it. Our focus for this first workshop was building ensemble. As a performer and educator myself, I know that community building and trust are key components of both successful art and education. Along with Ashley Griffin, our Lead Teaching Artist, and Arielle Sosland, the LABA intern, we lead the students who attended in games and exercises that fostered creativity and honed acting skills. By the end of the workshop, the students who didn’t know each other an hour and a half before were talking and laughing and creating art collaboratively. There were tableaus of food and colors, movement and soundscapes of New York City, and improv scenes about sun burns and having to clean up your room. Our next workshop, Actor Skills, is coming up on Wednesday April 10th from 5:00-6:30pm here at the Y. If you are or know a current 5th – 8th grader who is interested in acting, theatre, or just looking to have a great time with some new friends, have them call or email us at (646) 395-4322 or Becky_Skoff@14streety.org We’d love to make some art with them! go to the website by clicking here!